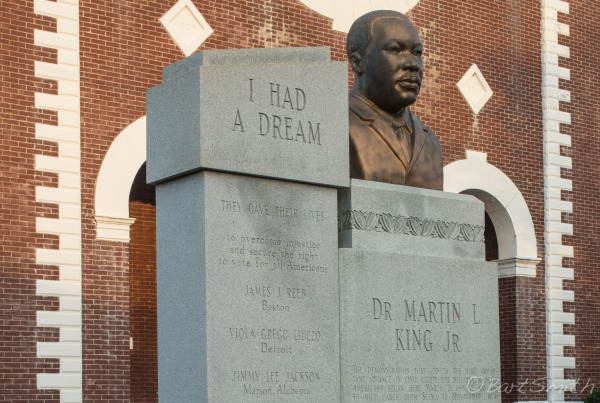 Monument in front of Brown Chapel AME Church. 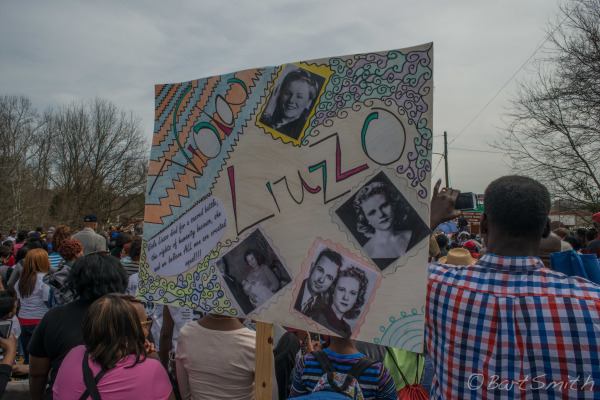 The church became command post and spiritual heart of local Voting rights movement. 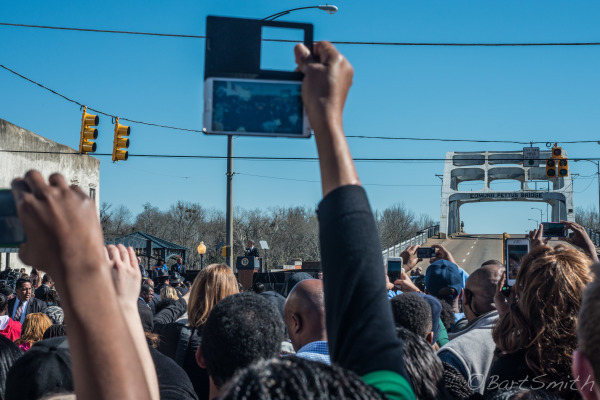 Selma Alabama. 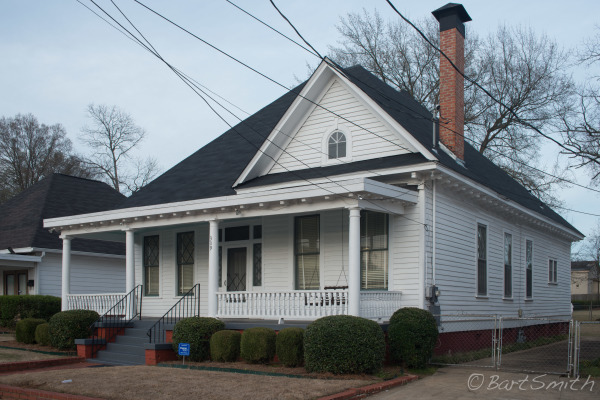 Home where Dr Martin Luther King stayed during the Selma voting rights marches. 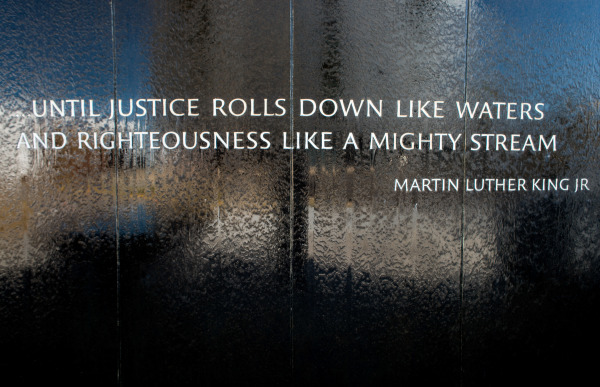 Selma Alabama. 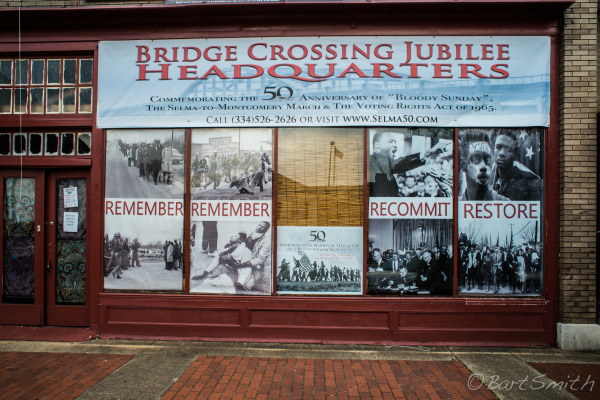 50th Jubilee headquarters. 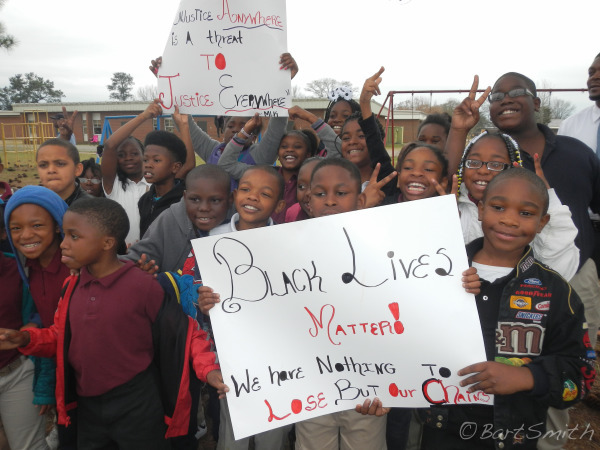 Selma Alabama. 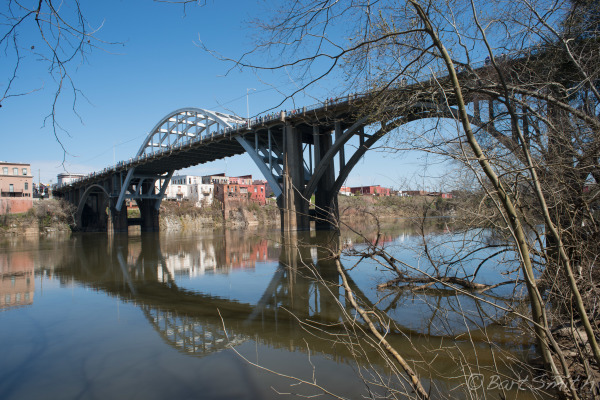 Edward Pettus Bridge. 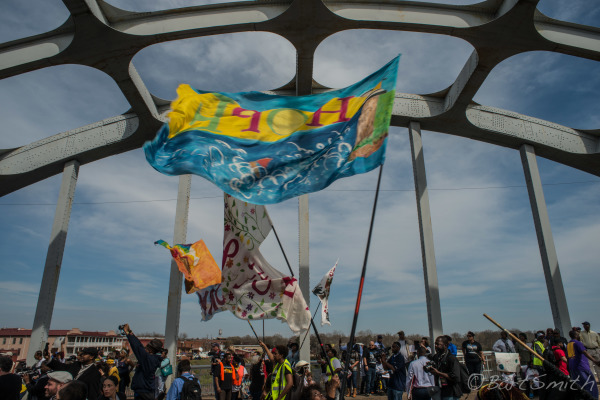 Evening before the 50th anniversary of the Voters Rights March. 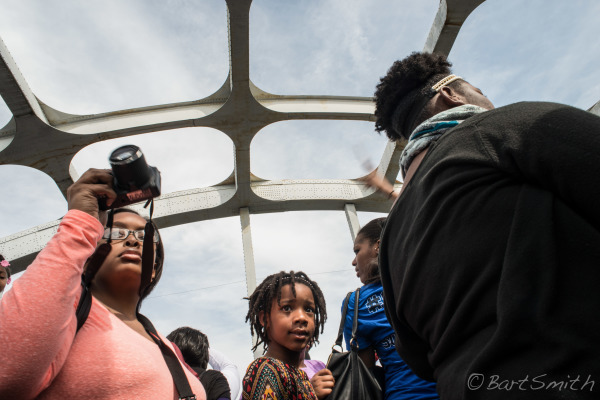 Selma, Alabama. 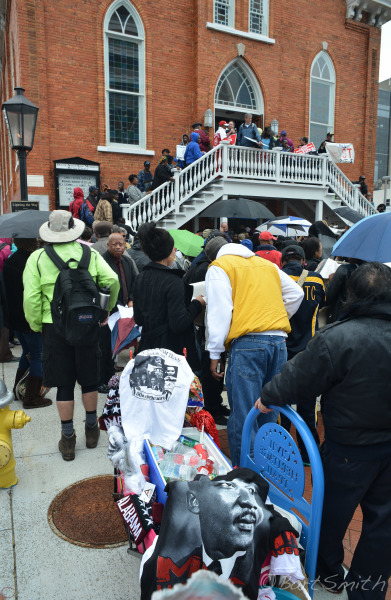 People in line for the 50th Jubilee Commemorating the 50th anniversay of the 1965 Voters Right Act. 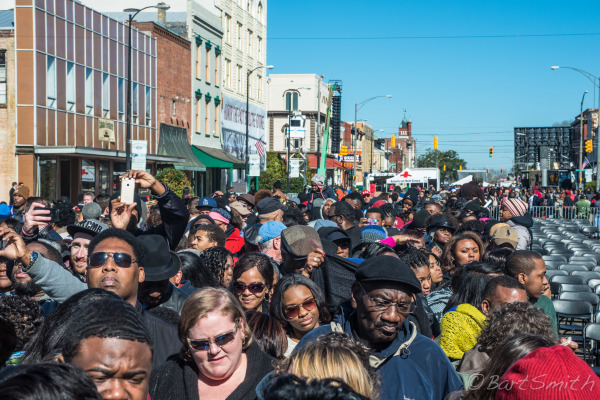 Selma Alabama. 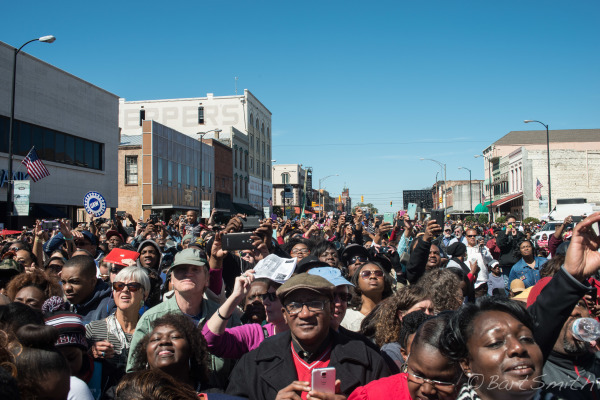 50th Jubilee commemorating the 1965 Voters Rights Act in downtown Selma. 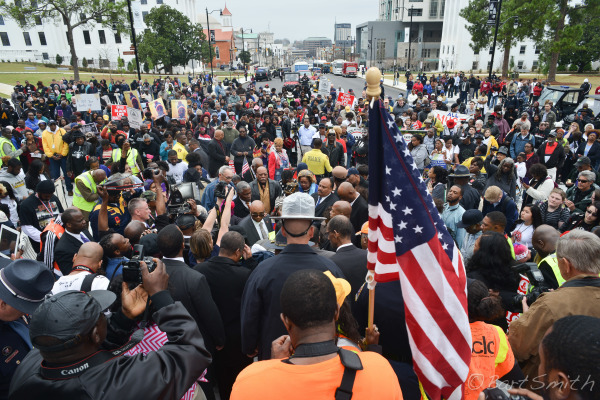 Many dignitaries spoke including President Barack Obama and Representative John Lewis. Former President George W Bush, First Lady Michelle Obama and Former First Lady Laura Bush were also in attendance. 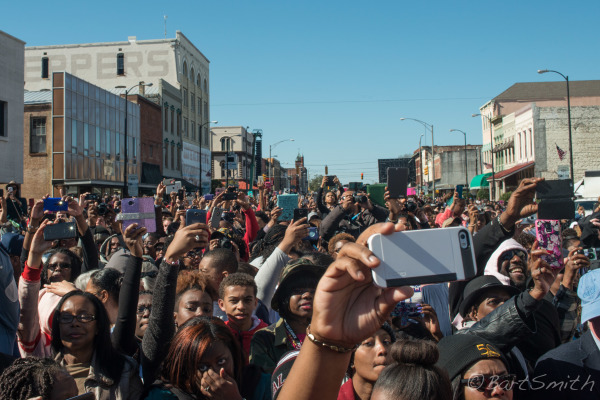 March 7th 2015, Selma, Alabama. 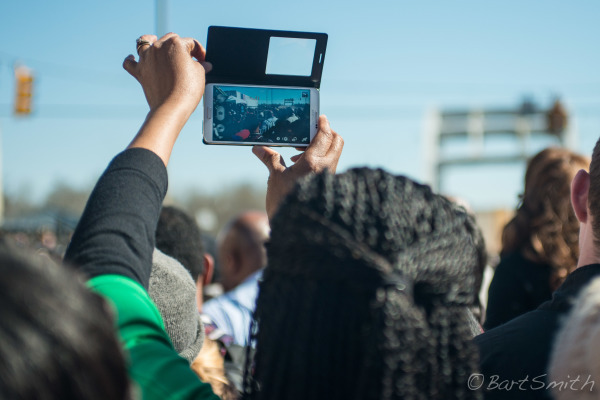 Edmund Pettus Bridge, March 8th 2015. 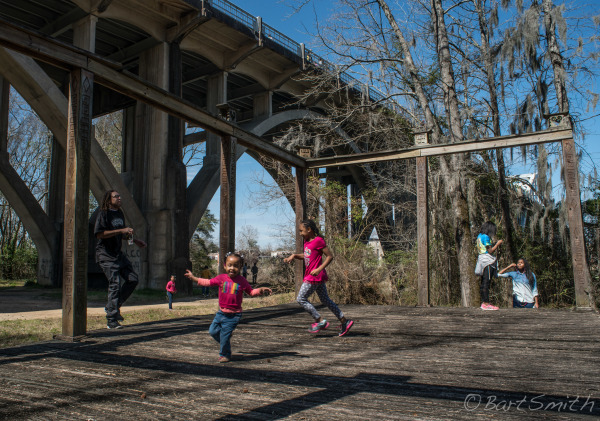 Kids playing in the Park beside the Edmund Pettus Bridge, March 8th 2015. 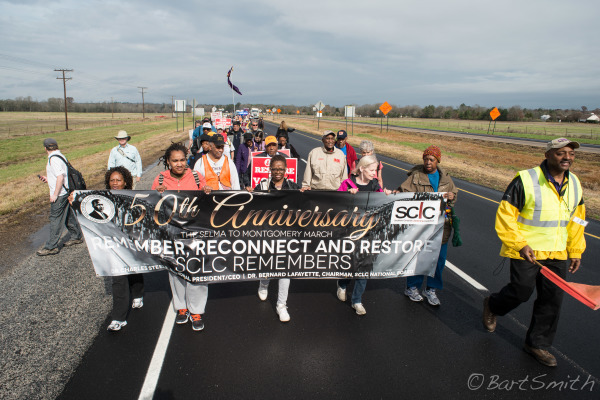 50th Anniversary celebrations of the Selma to Montgomery Voters Rights March. 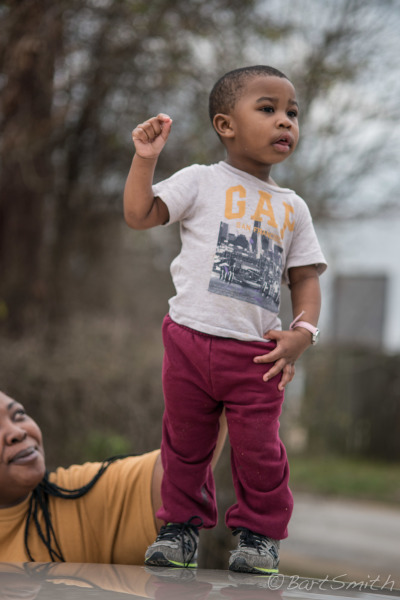 Selma, Alabama. 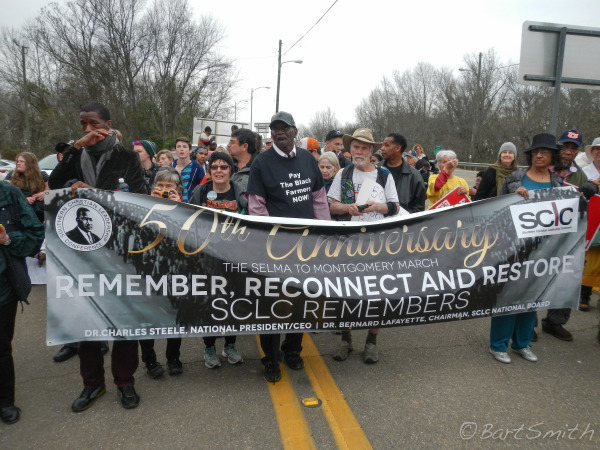 50th Anniversary celebrations of the 1965 Selma to Montgomery Voters Rights March. 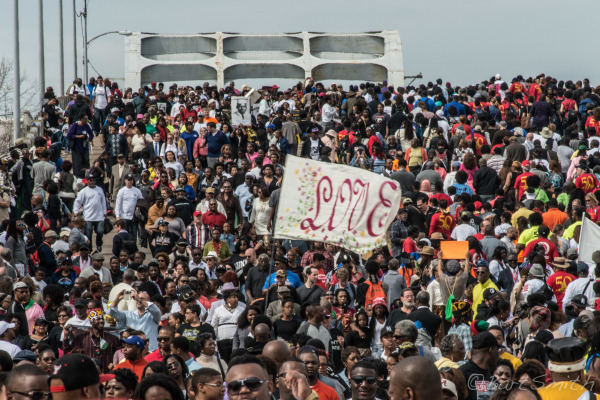 March 8th 2015, Selma, Alabama. 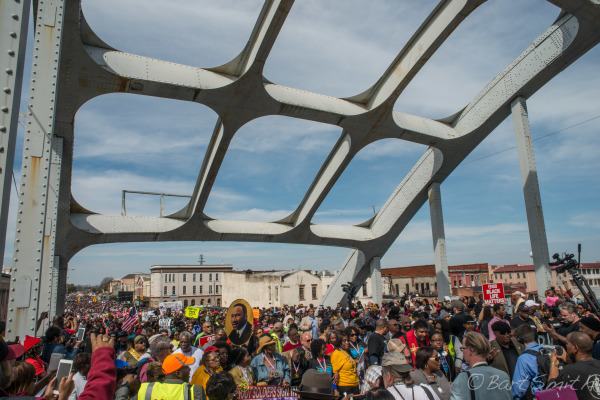 Waiting to walk across the Edmund Pettus bridge on 50th Anniversary of the 1965 Selma to Montgomery Voters Rights March. 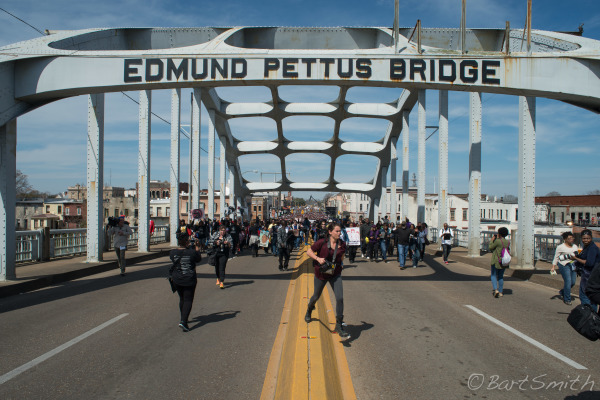 March 8th 2015, Selma, Alabama. 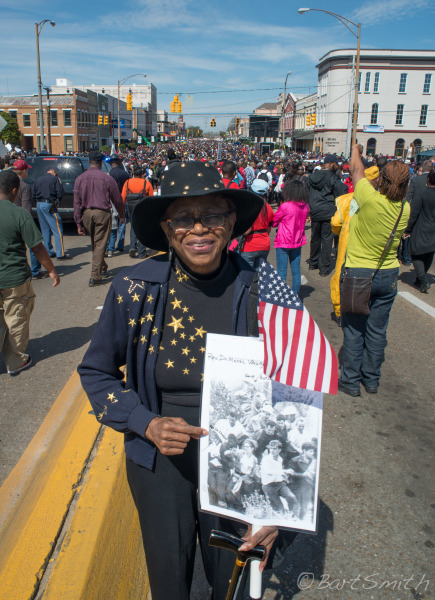 An original marcher from the 1965 March attending the 50th Anniversary celebrations of the 1965 Selma to Montgomery Voters Rights March. 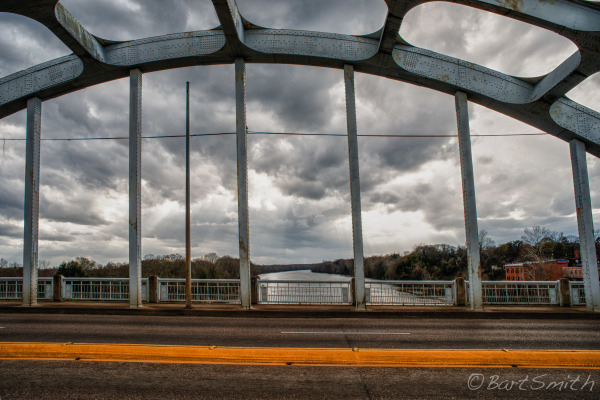 Selma, Alabama. 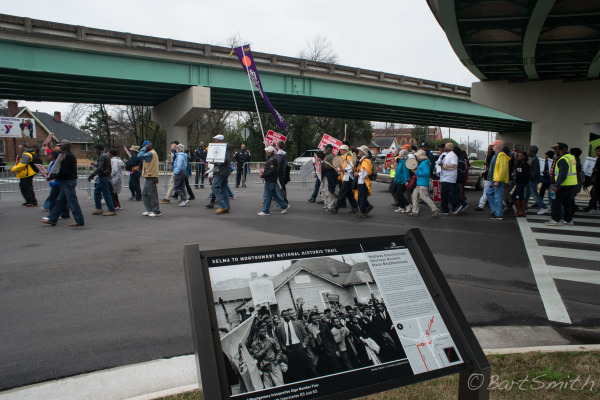 50th Anniversary celebratory walk across Edmund Pettus Bridge commemorating the 1965 Selma to Montgomery Voters Rights March. 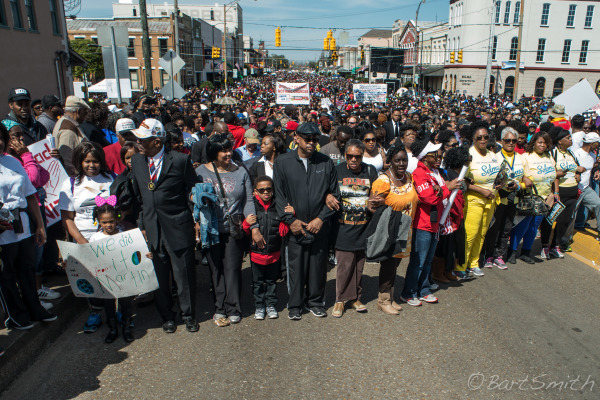 March 8th 2015, Selma, Alabama. 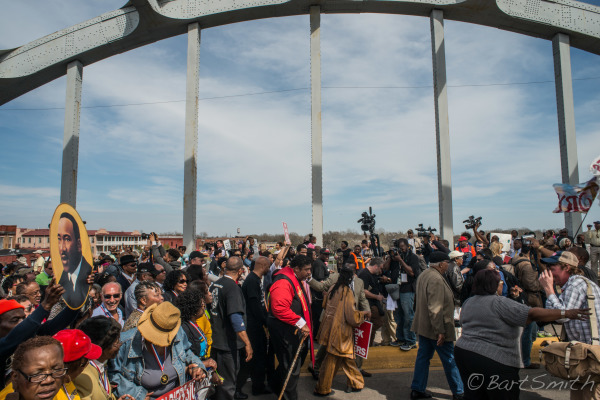 Day 1, Selma to Montgomery 2015 50th Commemoration March starting in Selma and heading to the Alabama capital building in Montgomery. 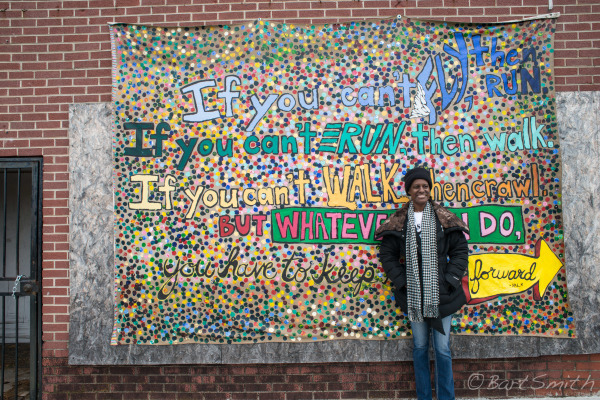 The 50 mile walk was completed over 4 1/2 days. 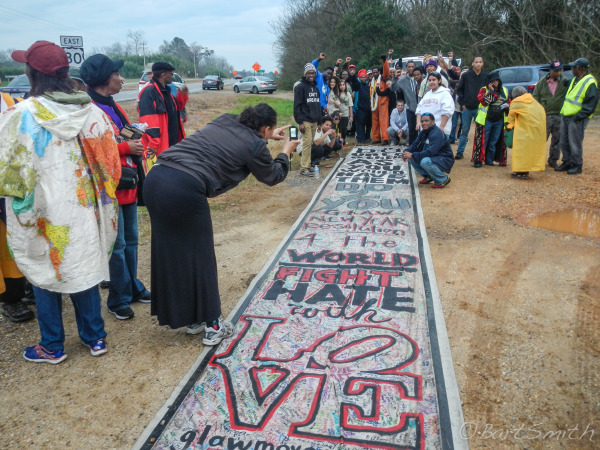 March 9th 2015, leaving Selma, Alabama. 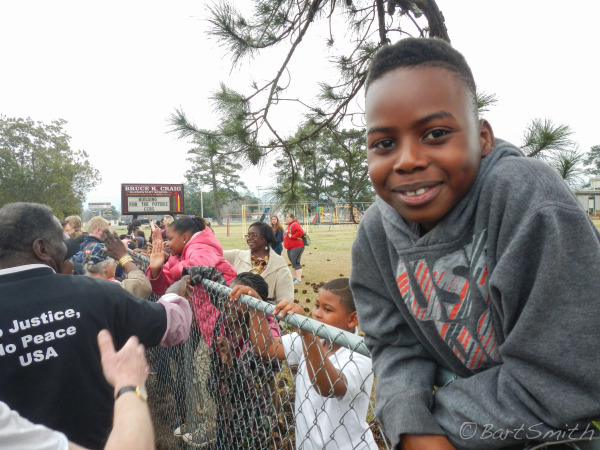 Day 1, Local school kids greeting Selma to Montgomery 2015 50th Commemoration Marchers in Selma on our way to the Alabama capital building in Montgomery. March 9th, 2015. 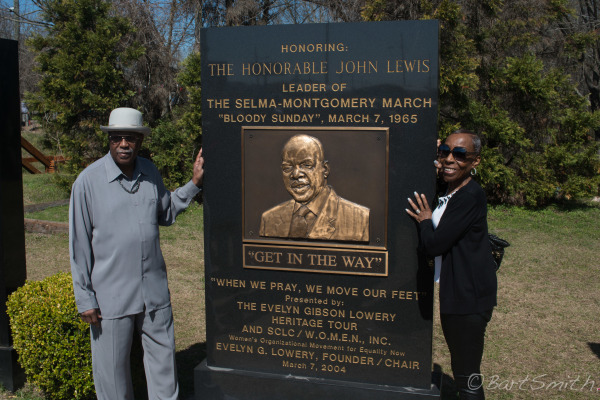 Day 2, Selma to Montgomery 2015 50th Commemoration March starting in Selma and heading to the Alabama capital building in Montgomery. 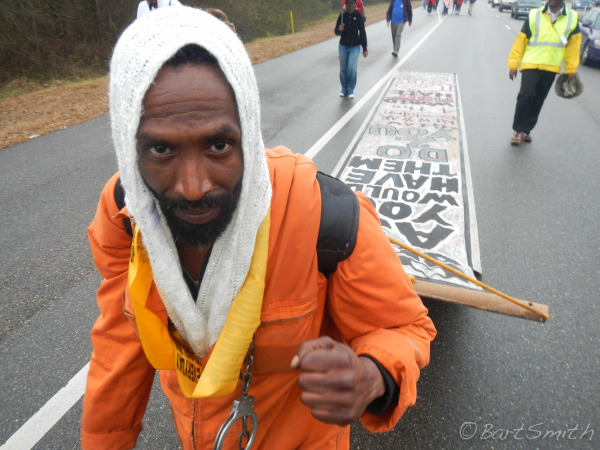 The 50 mile walk was completed over 4 1/2 days. March 10, 2015. 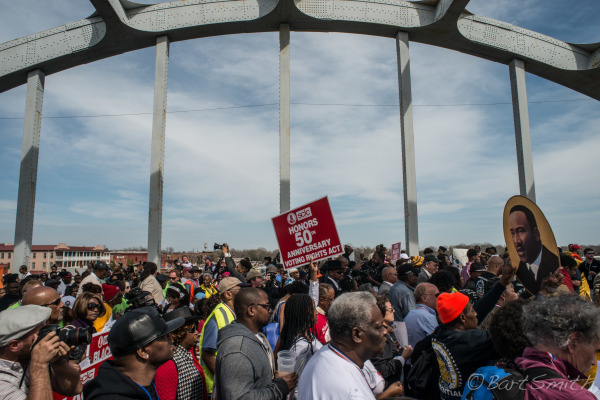 Day 3, Selma to Montgomery 2015 50th Commemoration March starting in Selma and heading to the Alabama capital building in Montgomery. 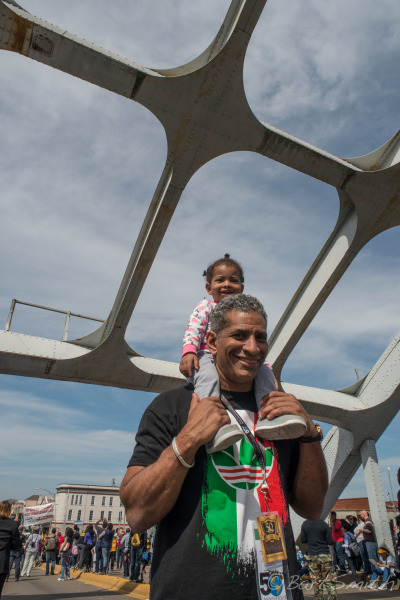 The 50 mile walk was completed over 4 1/2 days. March 11th 2015. 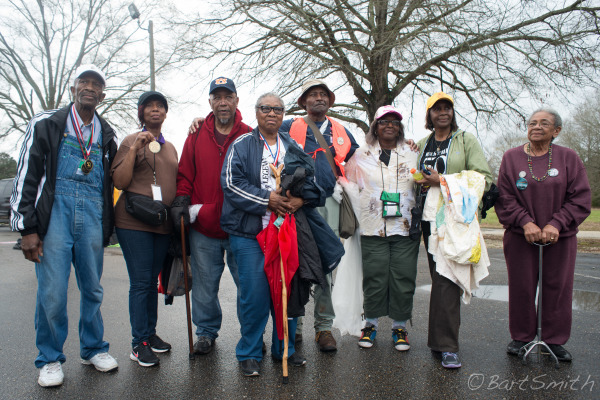 Folks who marched in the 1965 Selma to Montgomery March. 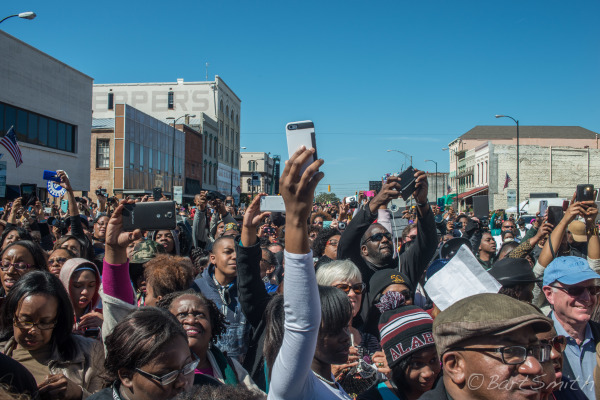 Day 3, Selma to Montgomery 2015 50th Commemoration March starting in Selma and heading to the Alabama capital building in Montgomery. 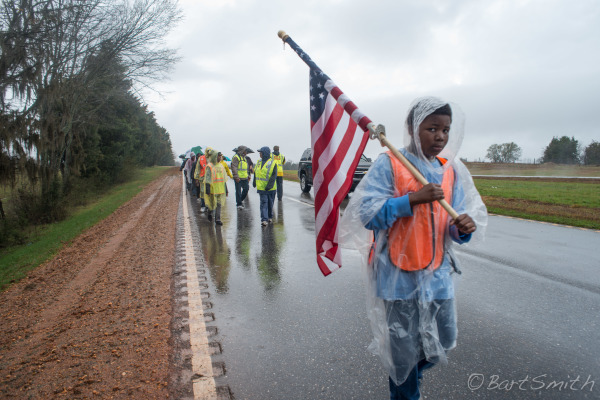 The 50 mile walk was completed over 4 1/2 days. March 11th 2015. 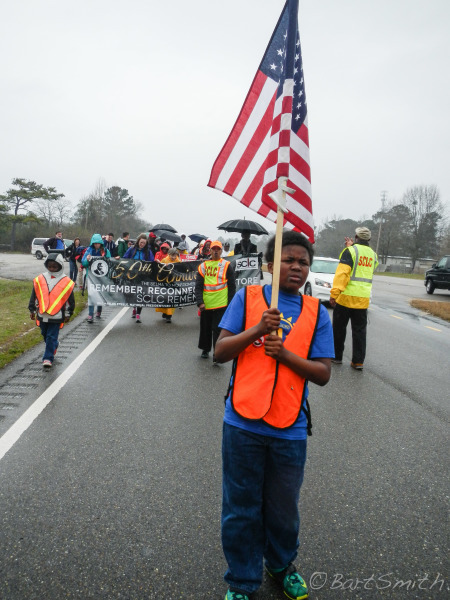 Day 4, Reaching the outskirts of of Montgomery the Selma to Montgomery 2015 50th Commemoration Marchers who started in Selma and walked to the Alabama capital building in Montgomery. The 50 mile walk was completed over 4 1/2 days. March 12th 2015. 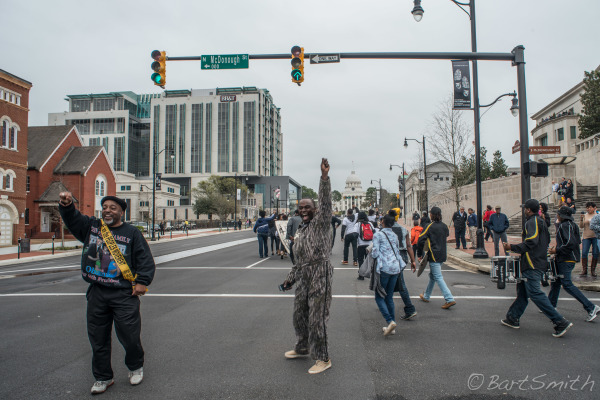 Day 4, Entering Montgomery, the Selma to Montgomery 2015 50th Commemoration Marchers walking to the Alabama capital building down town Montgomery. The 50 mile walk was completed over 4 1/2 days. March 12th 2015. 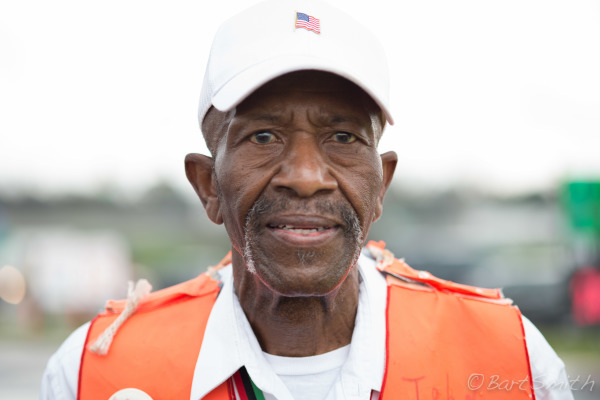 This gentleman walked in the 1965 Voters Rights March and was walking the 50th anniversary March. March 12th 2015. 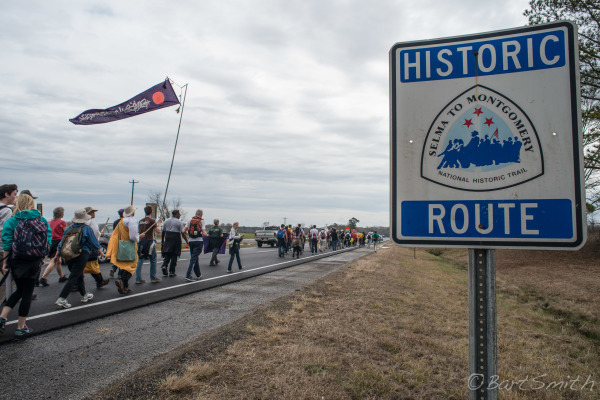 Day 5, Selma to Montgomery 2015 50th Commemoration Marchers entering Montgomery heading to the Alabama capital building. The 50 mile walk was completed over 4 1/2 days. March 13, 2015. 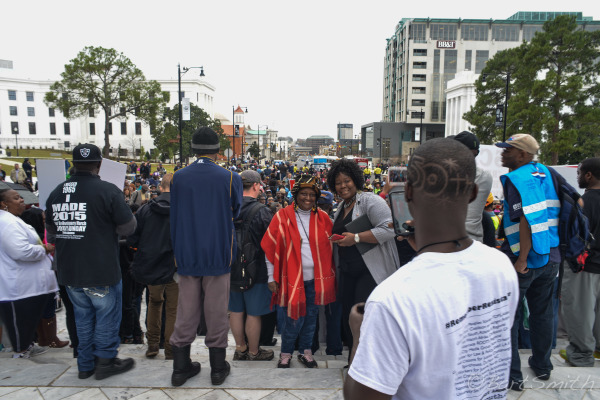 A marcher stops for photos on the way to the Capital Building, Montgomery, Al. March 13th 2015. 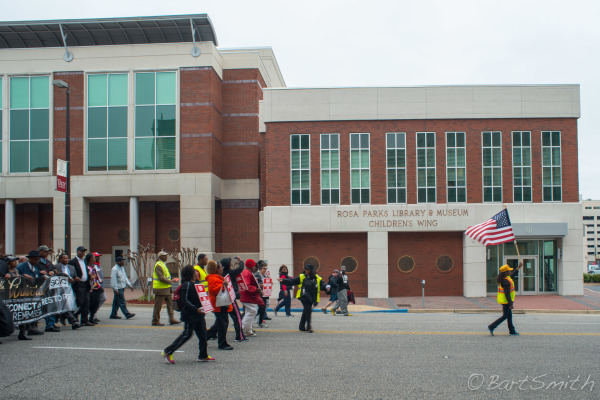 Day 5, Selma to Montgomery 2015 50th Commemoration Marchers passing Rosa Parks Library and Museum on route to the Alabama capital building. The 50 mile walk was completed over 4 1/2 days. March 13th, 2015. 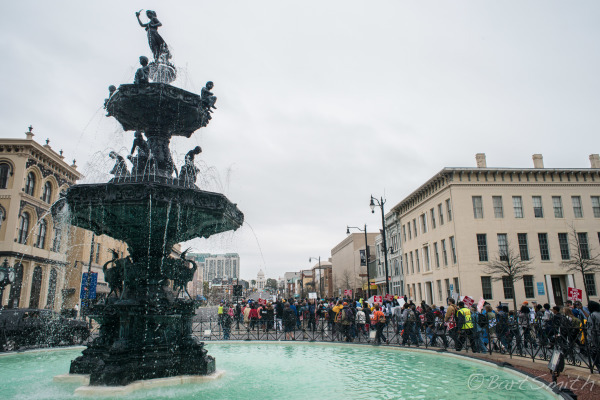 Day 5, Selma to Montgomery 50th Commemoration Marchers who started in Selma are nearing the Alabama Capital Building downtown Montgomery. March 13th, 2015. 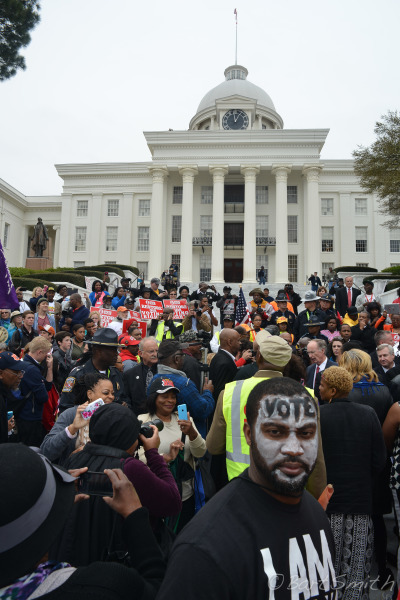 Day 5, Selma to Montgomery 50th Commemoration Marchers gather at the steps of the Alabama Capital Building in Montgomery to hear the Governor of Alabama and Martin Luther King III give prayers and speeches honoring the 50th Anniversary of Martin Luther Kings Jr's speech in support of voters rights for African Americans. March 13th, 2015. 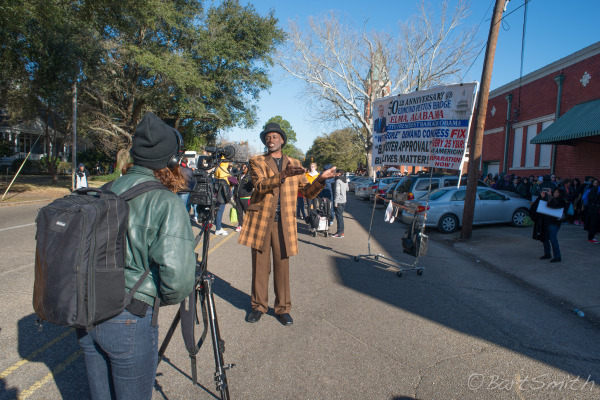 Day 5, Dexter Avenue King Memorial Church is location for closing ceremony honoring the 50th anniversary of the Selma to Montgomery, Voters Rights March. March 13th, 2015. 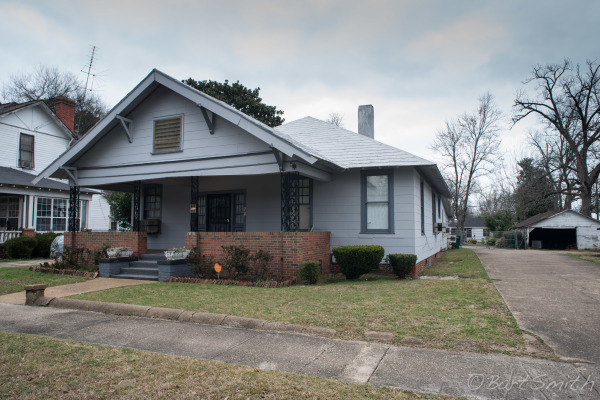 Martin Luther Kings home in Montgomery, Al. 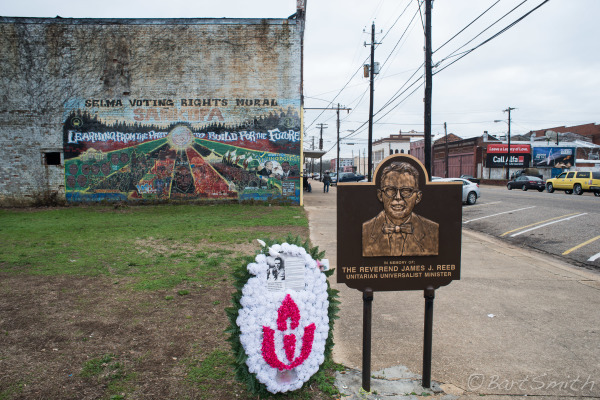 Memorial to Reverend James J. Reeb at location where he was murdered on March 11, 1965. 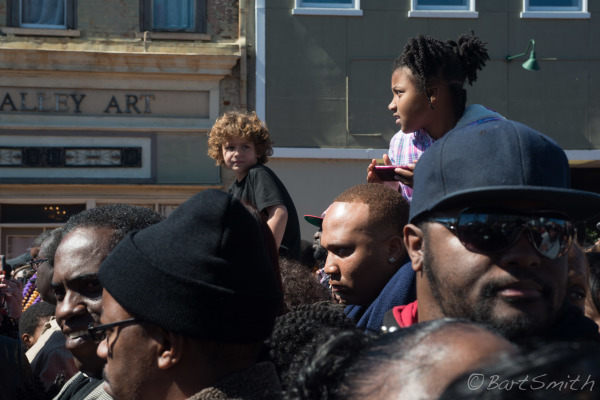 Selma, Alabama. 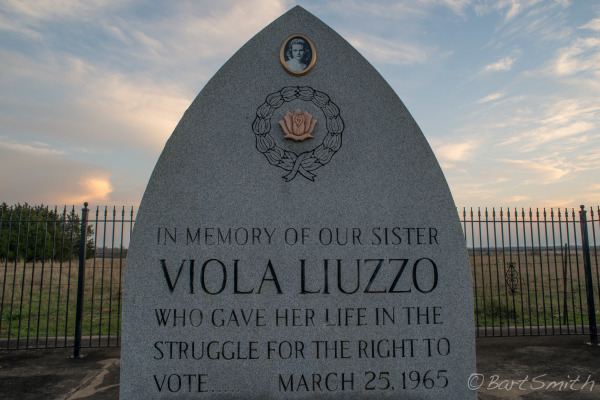 Memorial to Viola Liuzzo. 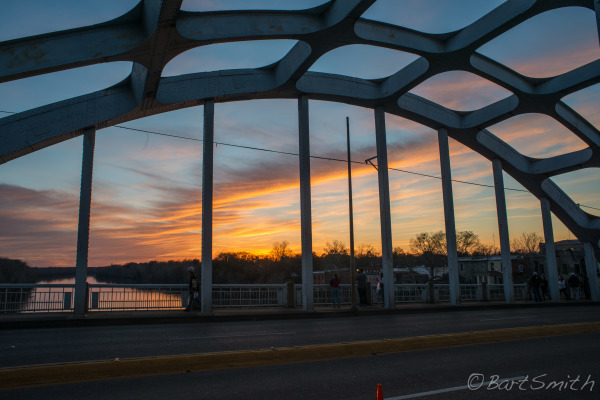 Selma to Montgomery National Historic Trail, Alabama. 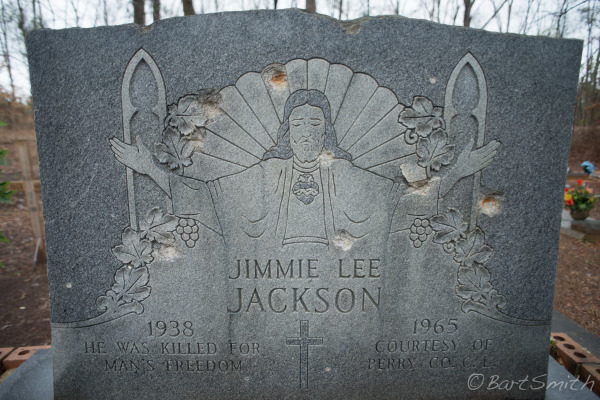 Gravesite of Jimmie Lee Jackson. 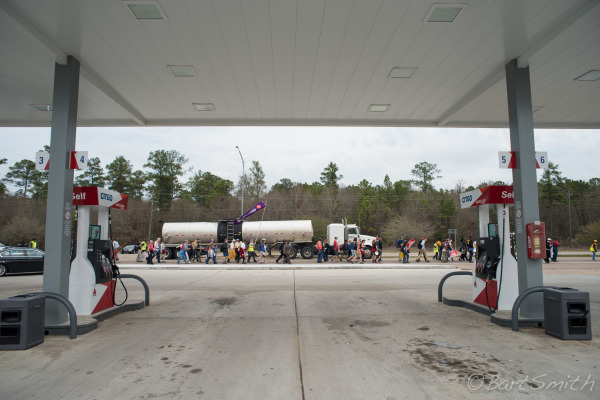 Near Marion, Alabama. 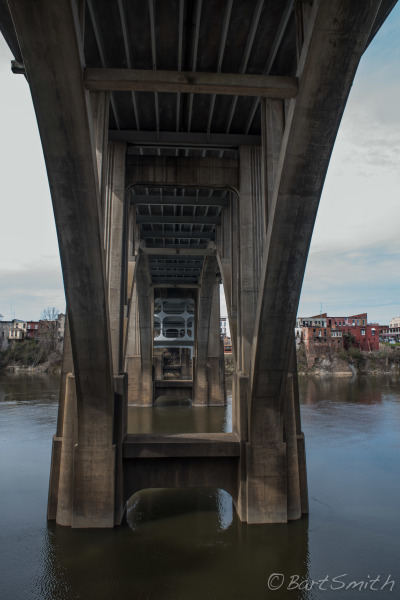 This trail commemorates the voting rights struggle in central Alabama in the mid-1960s and the stirring march from Selma to Montgomery, Alabama in 1965 that galvanized the Nation. 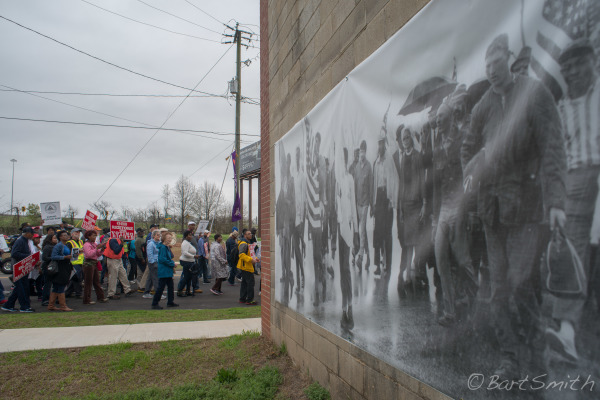 On the afternoon of Sunday, March 7, the marchers - trained in non-violence and wishing to carry the coffin of a recently slain civil rights advocate to the State Capitol in Montgomery - started out from the Brown Memorial A.M.E. chapel in Selma and walked out of town across the Edmund Pettus Bridge. 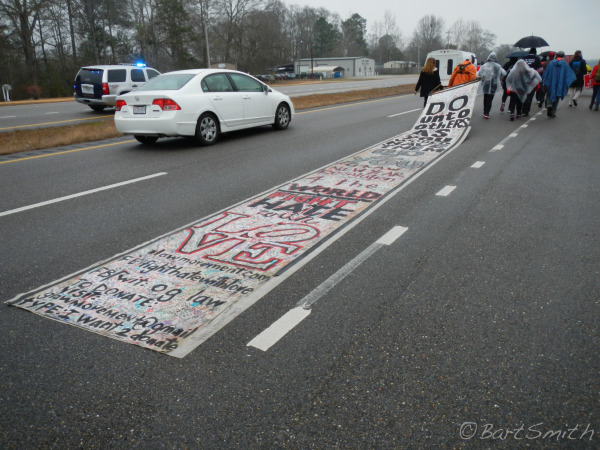 On the far side of the bridge they were attacked by Alabama state troopers wielding tear gas and clubs. 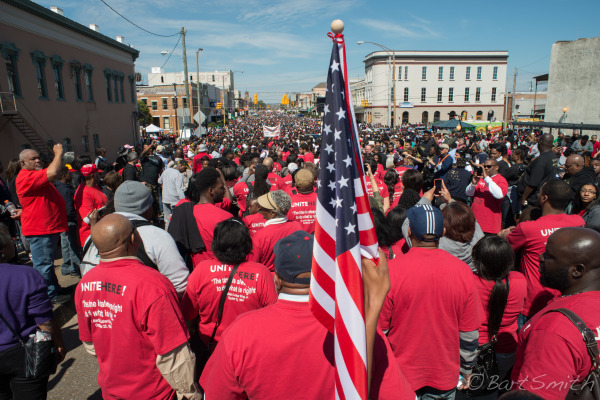 The procession turned back, bloodied, but not defeated. Eyewitness TV news of the attack captured worldwide attention. 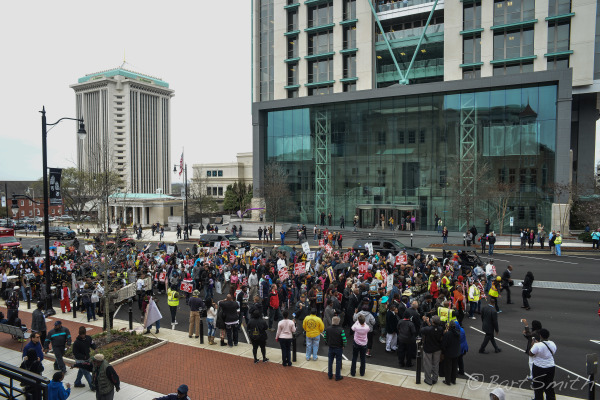 Outraged by the severe violence used against peaceful protestors, thousands came to join the cause. 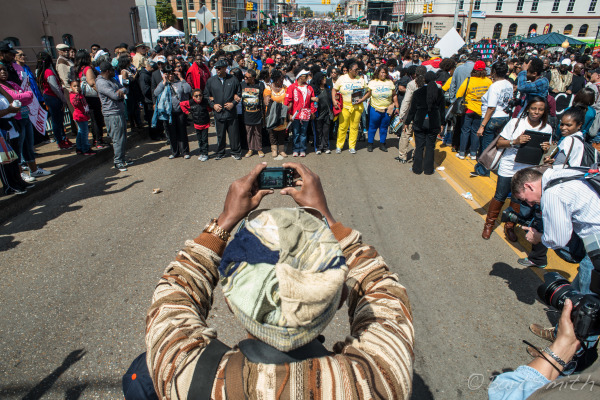 Strengthened in numbers and assisted by a court order, a subsequent march began on March 21, this time under the protection of state and fedeal law enforcement. 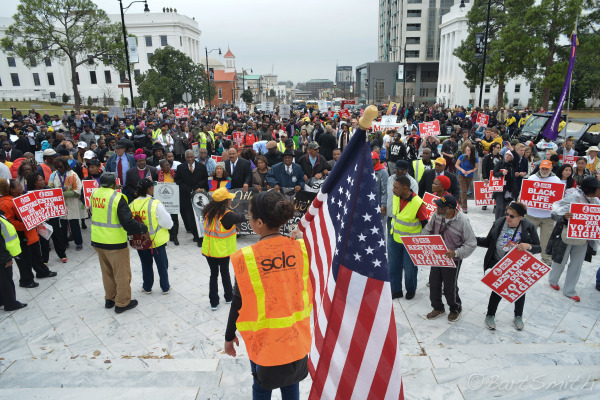 The five-day march along 54 miles of highway ended at the State Capitol where Dr Martin Luther King Jr movingly addressed the huge crowd. 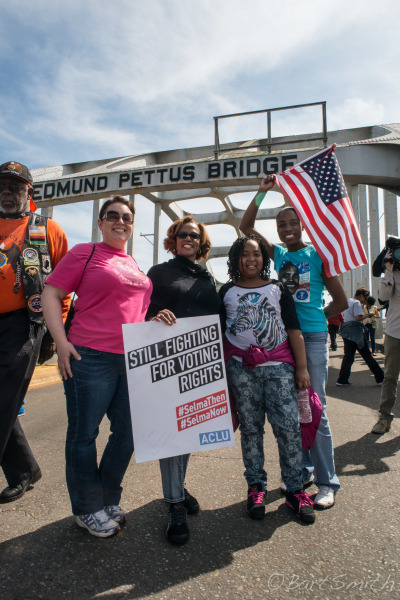 Two months later, the Voting Rights Act of 1965 was passed and signed into law, abolishing discriminatory literacy tests and other measures that prevented minorities from being allowed to vote. 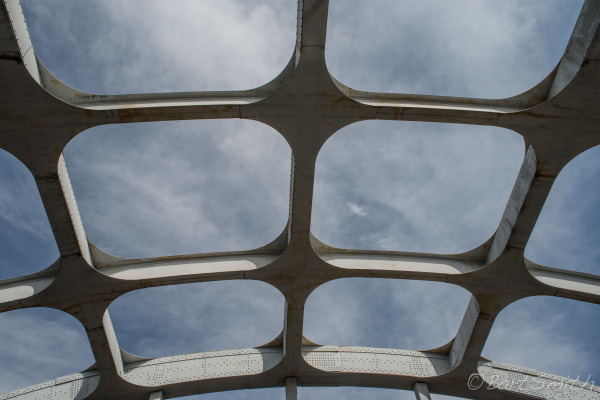 This route has also been designated a National Scenic Byway/All-American Road by the U.S. Secretary of Transportation. The Trail is administered by the National Park Service.